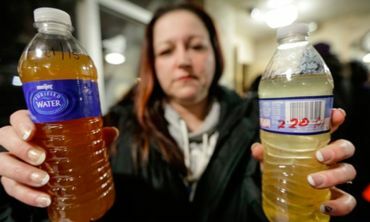 While Flint battles a water crisis, just two hours away the beverage giant pumps almost 100,000 times what an average Michigan resident uses into plastic bottles. Please Boycott all things Nefarious Nestle!!! Sick of Nestle getting almost free water, bottling it in plastic that pollutes land and selling it for profits. Have signed a few petitions against this. They are doing it in Canada too and all around the world. nestle is total corruption and a foreign corporation. this makes absolutely no sense. i'm absolutely boycotting nestle. while some michigan reps are against nestle, what the heck is wrong with the majority?